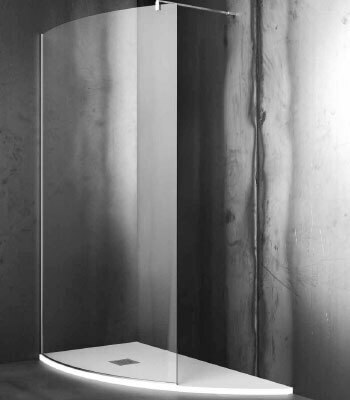 A very original design shower enclosure with high functional qualities. Curved tempered extraclear glass, 8mm width, on a tray made of thermosetting resin with natural minerals. A classic icon of the Cesana production, proposed in an innovative version which the shower tray can be totally personalized in all RAL colors and contoured on measure to suite the spaces and modulate the entrance dimensions. Stainless steel and chromed brass components ensure the maximum dutability of the product.